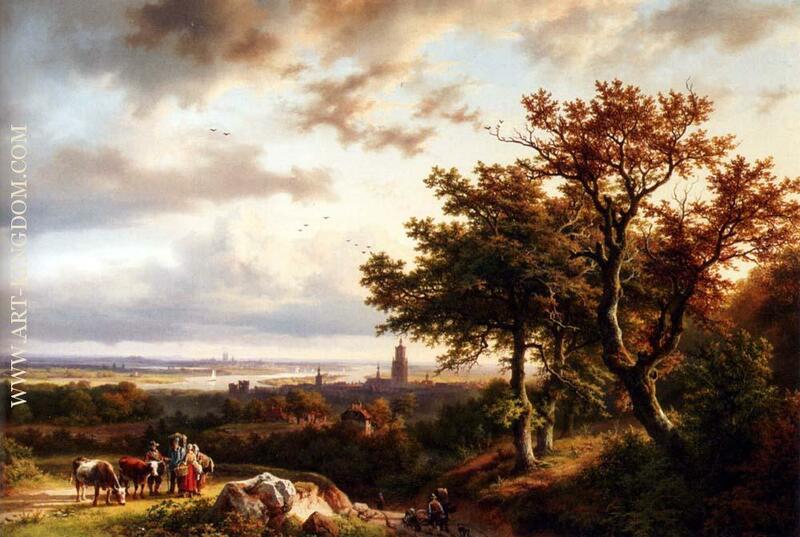 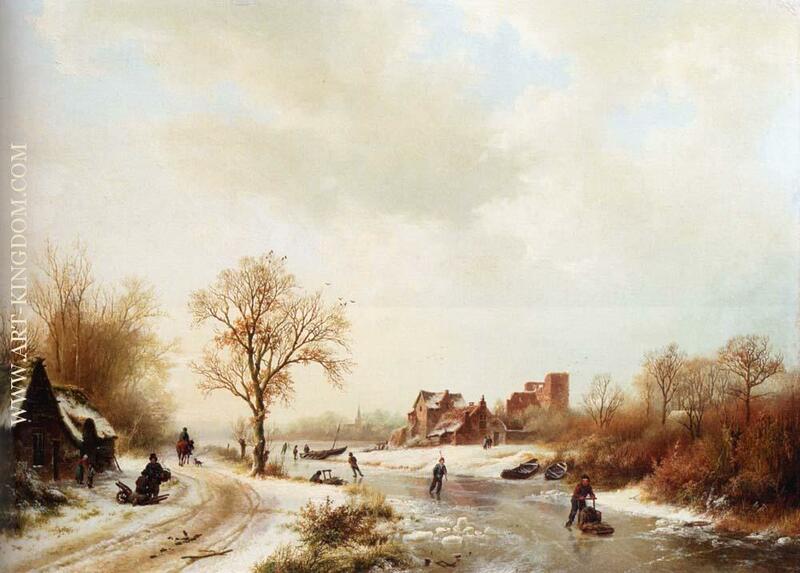 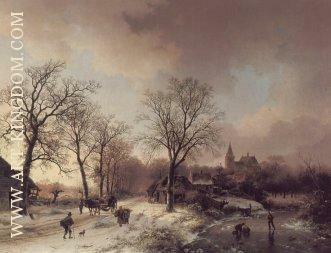 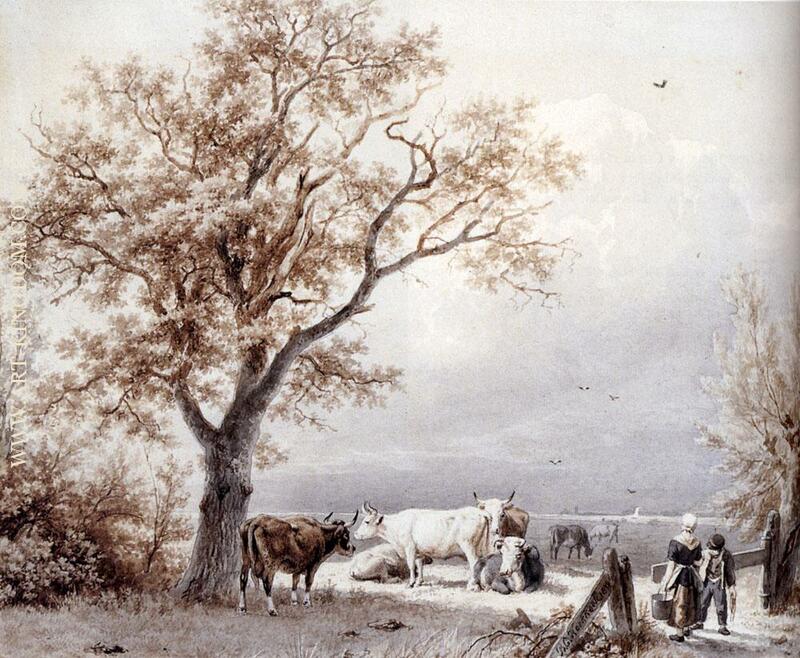 Koekkoek, Barend Cornelis (October 11, 1803, Middelburg - April 5, 1862, Kleve) Dutch landscape artist and father of Johannes Hermanus Barend Koekkoek. 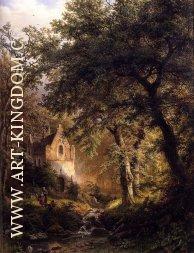 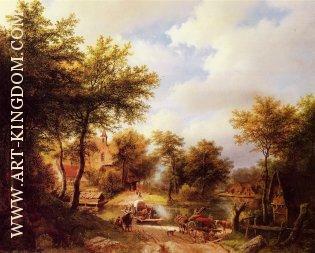 Koekkoek’s own paintings reveal a careful study and synthesis of Dutch seventeenth century painters. 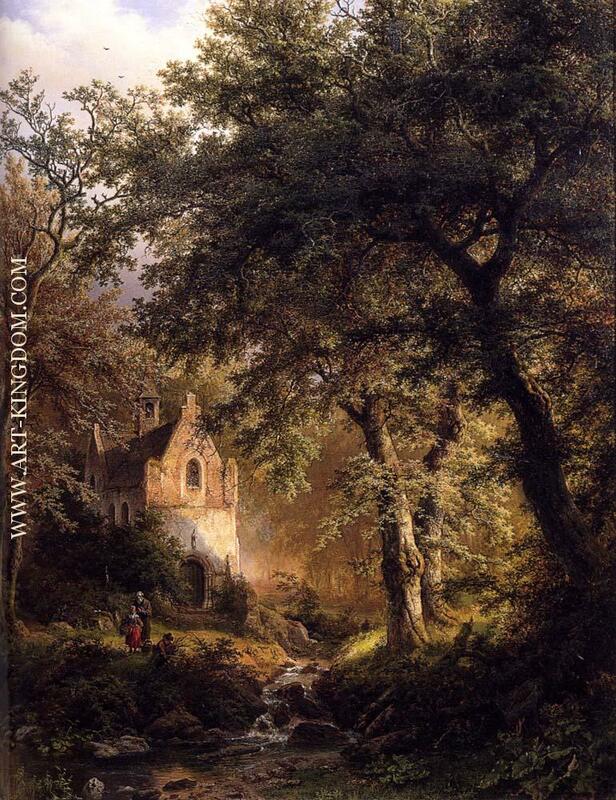 His art is firmly rooted in the great Dutch romantic tradition established by the seventeenth-century masters: Hobbema, Cuyp, Ruisdael and Wynants. 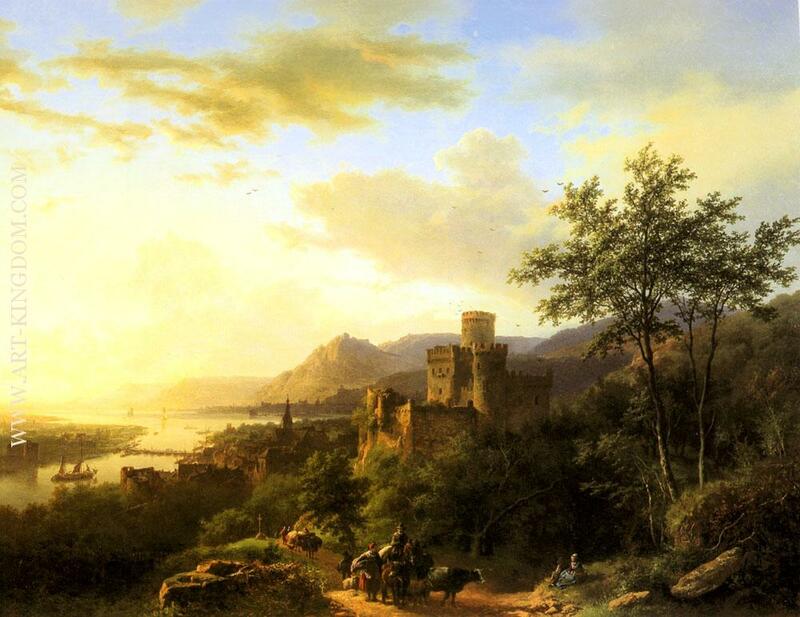 The golden light and the inclusion of travellers in his work suggests Koekkoek also admired the Dutch Italianate painters of the seventeenth century, collectively known as the Bamboccianti, especially Pieter van Laer and Jan Both. 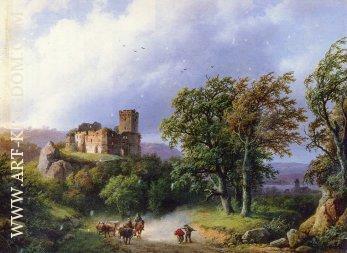 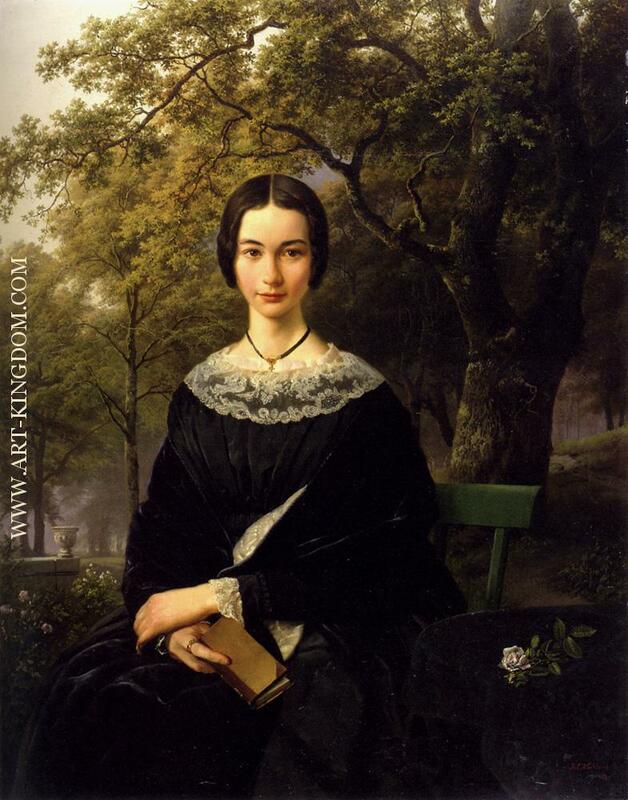 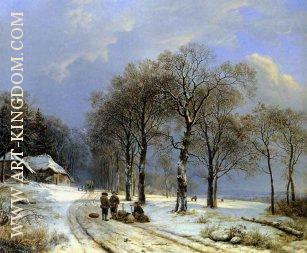 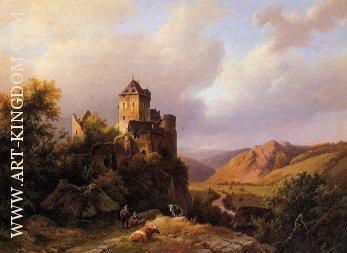 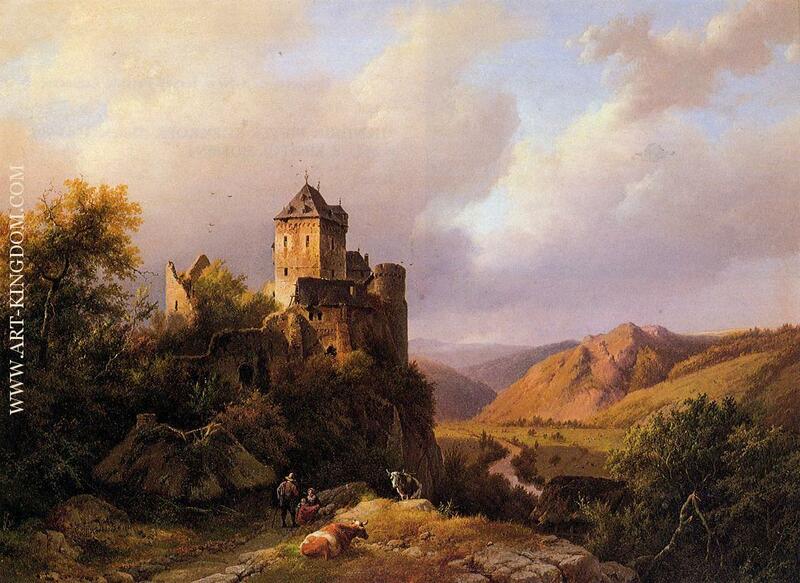 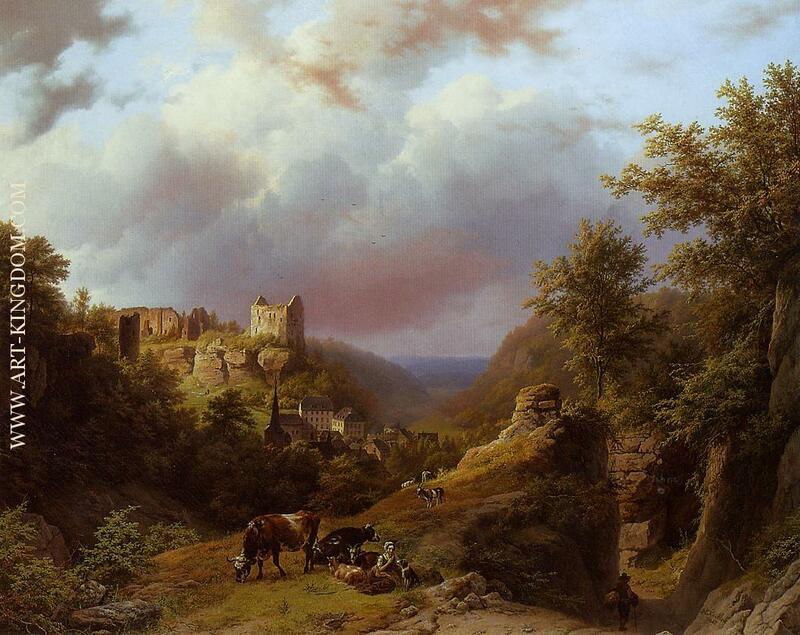 Koekkoek imagined his pictures as the result of an ideal combination of observation and artifice. 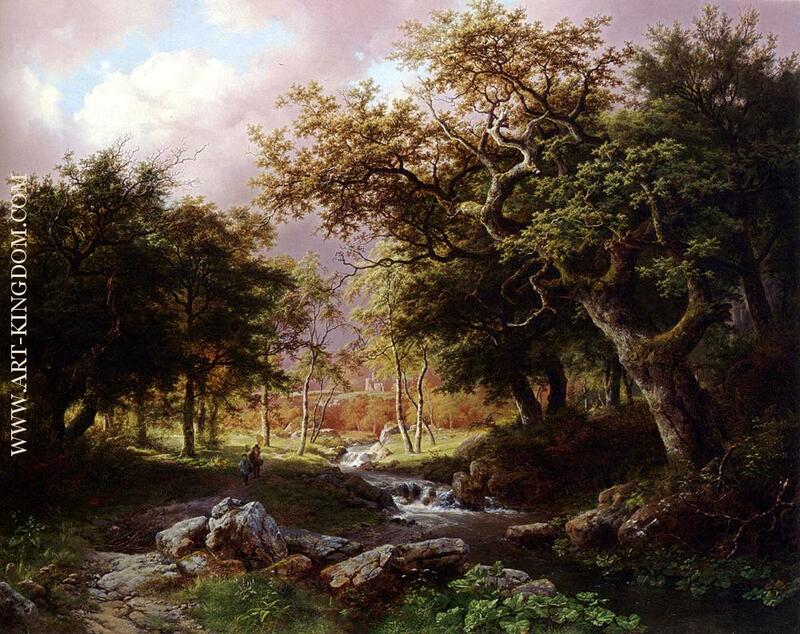 He studied art and nature with equal acuity, creating beautiful landscape paintings that celebrated the greatness of Creation. 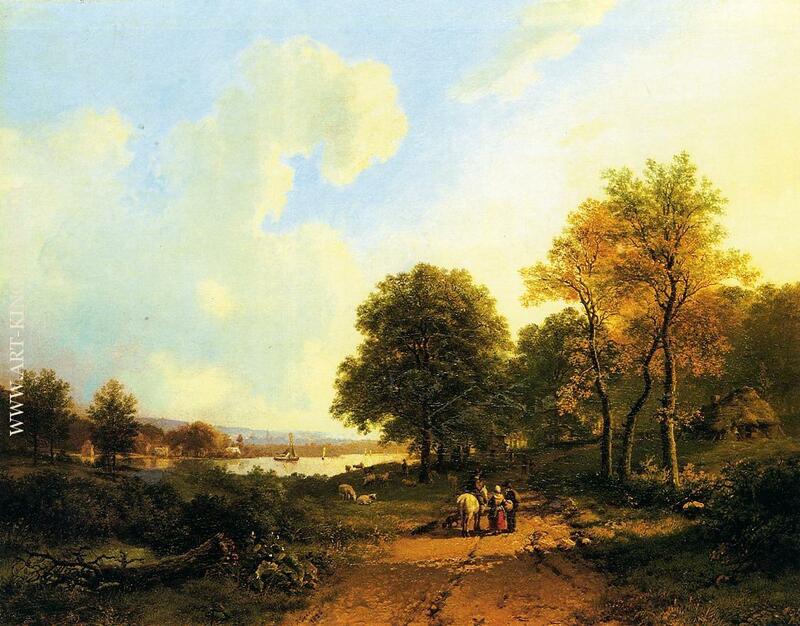 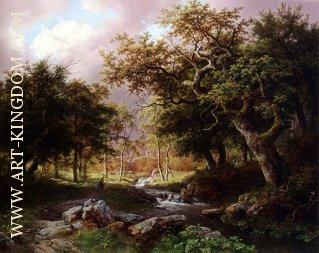 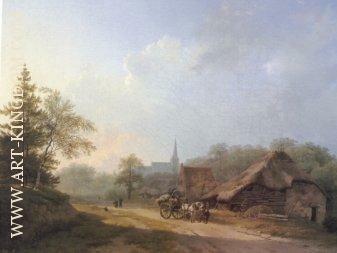 ‘Koekkoek's work impresses the spectator by its power, by the firm and correct construction of the trees, by the broad, natural growth of the leaves and boughs, [and] by the careful and elaborate reproduction of the wooded landscape’ (G. H. Marius, Dutch Painters of the Nineteenth Century, Woodbridge, 1973, p. 89). Up to this day, Koekkoek's work is very much favoured for the lively composition and the mood of nostalgia, in which the Dutch Golden Age seems to linger on. 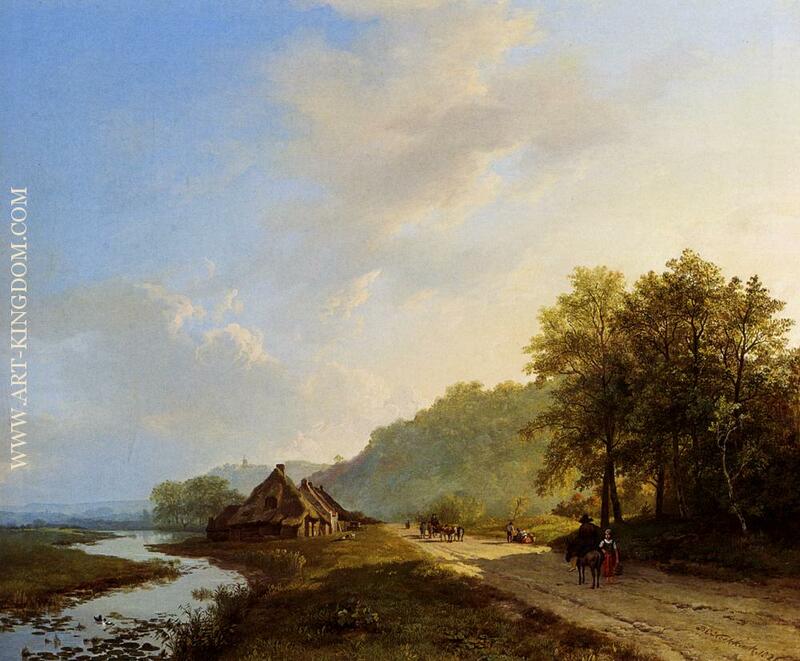 Just as he was during his own lifetime, Koekkoek is widely regarded as the most accomplished landscape painter of Dutch romanticism, against whose scrupulously refined paintings the work his contemporaries is measured.